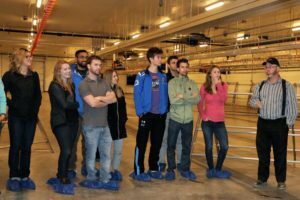 When we last visited the net-zero egg barn at Brant Colony, back in December 2016, egg manager Darrel Mandel was caring for his first flock, and the live-feed cameras had just come online. Fast-forwarding two years, Darrel is now caring for his third flock of laying hens and has also raised several flocks of pullets, for both himself and other Alberta egg farmers. Looking back, Darrel is pleased with his decision to build the net-zero egg barn, featuring an aviary hen housing system. 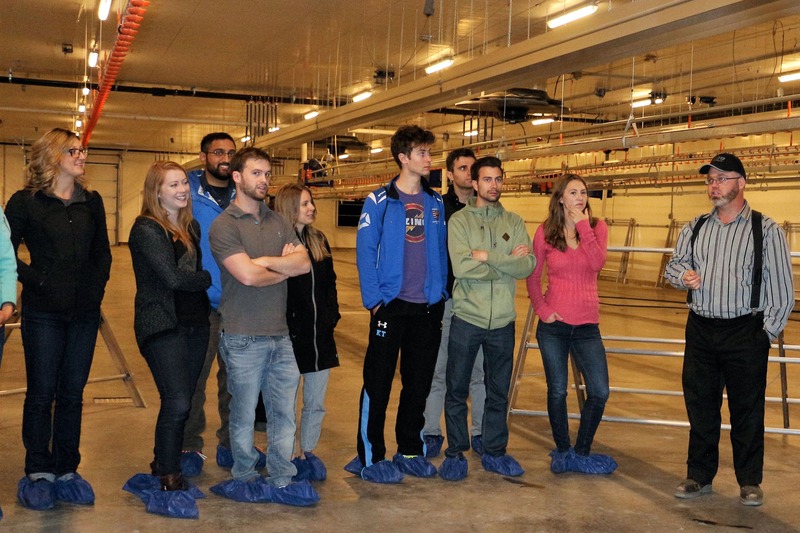 The net-zero barn project was always meant to be an educational tool for the industry, to better understand the potential positive impacts various design features and technologies could have on an egg barn’s ability to balance energy inputs and outputs. At this point in time, the layer portion of the barn has successfully achieved net-zero status for electricity. For Egg Farmers of Alberta, the net-zero barn has become a success story and a focal point the entire provincial egg industry can be proud of. Egg manager Darrel and the folks at Brant Colony have been wonderful hosts for several events over the past two years, eagerly taking reporters, bloggers, politicians, students, consumers, industry stakeholders and fellow egg farmers on tours through the barn. Darrel always makes the time to explain every unique detail of the barn’s construction, point out the energy efficient technology that the project funding made possible, and thoughtfully answer any questions guests have for him. 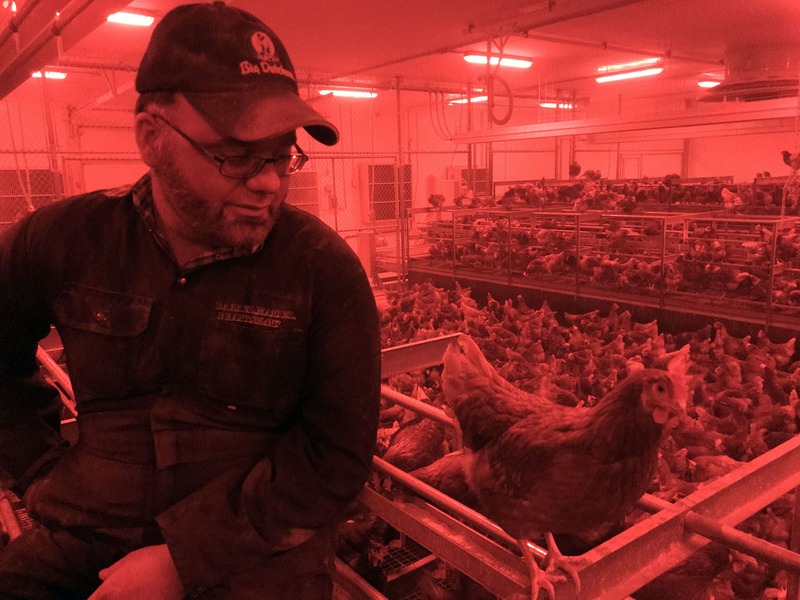 Brant Colony egg manager Darrel Mandel sits with his birds, inside the net-zero barn’s free-run aviary hen housing system. The red lights were added to help reduce feather pecking and Darrel has definitely noticed a substantial improvement in the feather cover of his flock, which is an indicator of enhanced animal welfare for the birds. 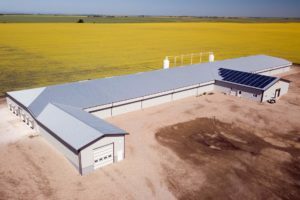 Canadian Poultry has published a couple articles about the net-zero barn at Brant Colony over the past few years. 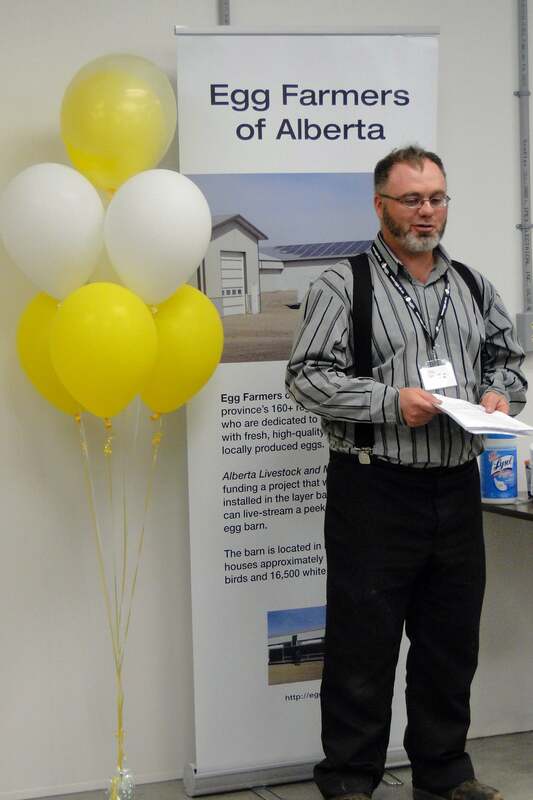 They have reviewed the project and its technical achievements, interviewed representatives from Brant Colony, Egg Farmers of Alberta and Alberta Agriculture and Forestry, and shared how this initiative is just one step in EFA’s journey towards building a sustainable egg industry in Alberta.